Macy’s Thanksgiving Day Parade in New York is a holiday tradition nationwide. More than 40 million people tune in via television each year to watch giant floats, marching bands, and performers make their way through the streets of NYC. But lucky for Seattle residents, we have our very own Seattle Macy’s Holiday Parade. Head downtown the day after Thanksgiving to watch floats, marching bands, and drill teams, and more fill the streets of Seattle with the spirit of the holidays. After the parade, the Christmas season kicks off in front of downtown Macy’s, too, so you can fill your day with holiday goodness. Start with the parade in the morning, visit Santa inside Macy's, visit the nearby Westlake Center to see the tree, and make a day of the holiday celebrations. The 2018 Seattle Thanksgiving Parade is happening on Friday, November 23 at about 9 a.m. Parade Route: The parade starts at 7th Avenue and Pine, goes two blocks to 5th Avenue and makes a left, continues on 5th Avenue from Pine to University, makes a right onto University and continues for one block, makes a right onto 4th Avenue and continues to Westlake Center where the parade finishes. Click for a parade map. The parade route street closures and lots of cars going downtown for the event often combine to create worse-than-usual traffic. Either get downtown early so you have time to park and get a viewing spot or consider taking the bus or Monorail (stops at Westlake Center). If you do drive, your best bet is to park a few blocks away, or park near the Seattle Center and take the Monorail or walk to Westlake to avoid the mess and save yourself some stress. The Seattle Macy’s Holiday Parade includes inflatable floats, but rather than the massive floats for which the NYC parade is known, most of Seattle’s floats stay closer to the ground. Floats range from snow globes with real people inside of them to giant cupcakes to Christmassy animals such as reindeer and polar bears. Expect tons of holiday-themed floats and characters, too—of course—as well as marching bands, pro sports players, mascots and cheerleaders, vintage cars, and drill teams. The end of the parade is brought up by Santa himself! The parade route finishes at Seattle’s downtown Macy’s store where you can expect more holidays fun. After the parade, Santa takes his place inside Macy's where he remains for the rest of the holiday season to take photos and find out what local kids have on their wish lists. Any place along the parade route is perfect for viewing, but if your plan is to go to Santaland at Macy’s afterward, pick a spot not too far from Westlake so you can (possibly) beat the crowds! If you’re in town visiting or just really into unique parade views, there are also a few hotels downtown along the parade route, namely Motif Seattle and Fairmont Olympic. Book plenty in advance if that idea floats your boat, but count on a unique (and probably much warmer and drier) vantage point. After the parade is just as much fun. Another Seattle tradition kicks off at the Macy’s store. Venture inside for the annual Santaland, where Santa goes once he’s done with his parade duties. Kids and families can get their photos taken with Santa straight through until December 24, and you can order photos and take them home with you the same day you visit. 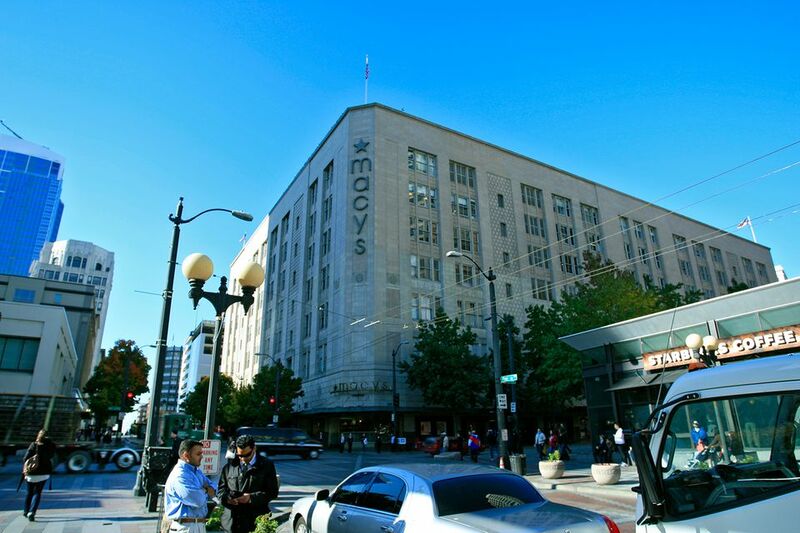 Around 5 or 6 p.m., Macy’s also lights up the star on the front of its store—yet another Seattle holiday tradition that has continued for more than 50 years. After the star is lit, and as long as it’s not pouring rain, there will be fireworks to finish off the evening right. The star stays lit throughout the season, so if you miss the festivities, it will still be there to wish you a happy holiday season later. Just a couple blocks away, Westlake Center also has a large Christmas tree that is lit for the first time of the season usually on this same night. Get there early and you might be able to secure a spot where you can watch the Macy's star and the tree both be lit!